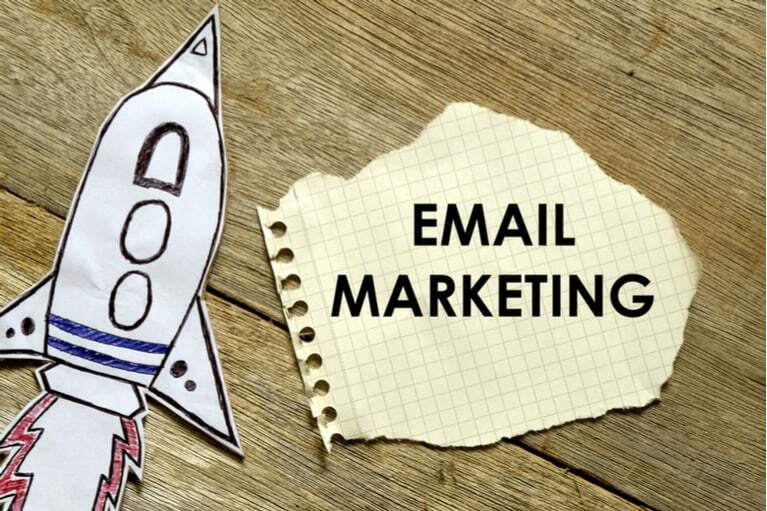 Successful B2C and B2B marketing hinges on effective communication. 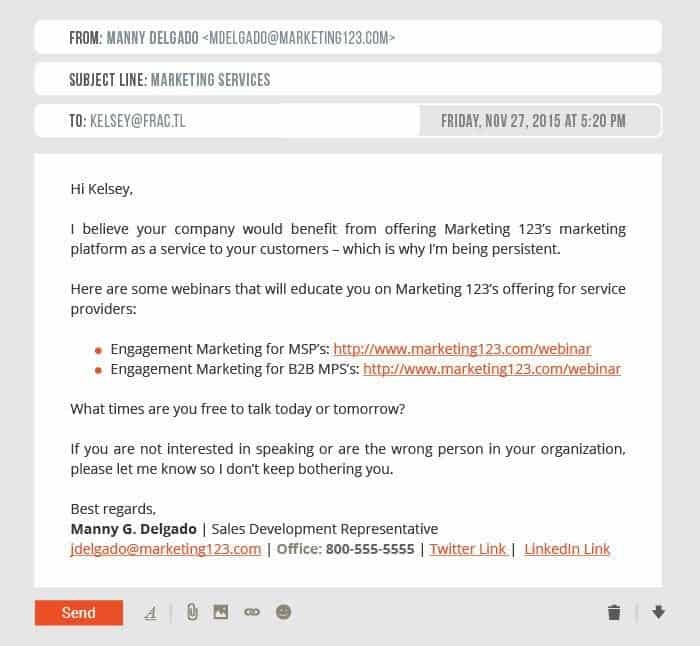 When it comes to B2B communication, email pitches are important means of reaching out to potential leads. But you need to be precise in how you manage them. There’s no doubt that this email is carelessly and hastily written. 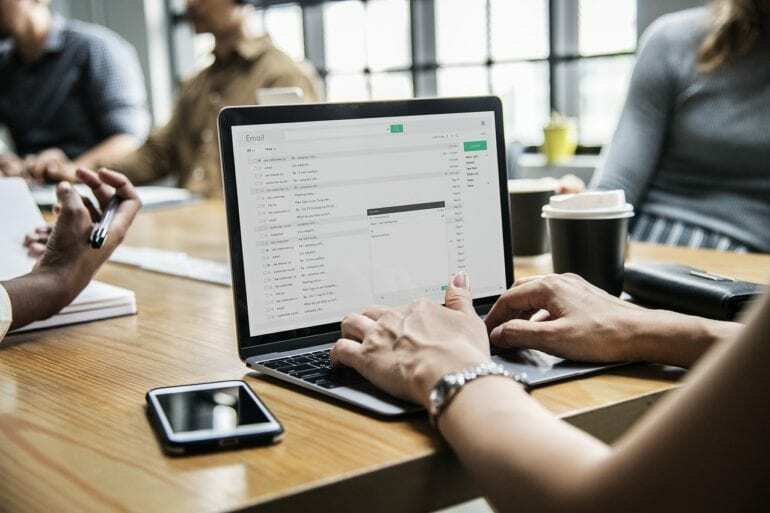 While some readers may overlook the errors, most would just toss it aside since they’re already receiving plenty of emails. This is one of the vaguest email pitches there ever has been. The sender identifies himself as “just an ad specialty sales rep”. That’s followed by a typo – “hear” instead of “here”. He also fails to mention how he can be useful for the business of the prospect. And instead of asking whether it would be appropriate to schedule further communications, he instructs the reader to contact him. Fractl quotes a great example of how not to do it. Fractl points out multiple issues in this email. Apart from the grammar issues, there are also issues with how the pitch content is framed. One positive aspect of this is that it clearly mentions in the subject line that the sender is making a proposal. It gives the reader a clear picture of what to expect. But the body of the email begins with an impersonal greeting, “hi there” instead of “hi Kelsey”, who’s the recipient. 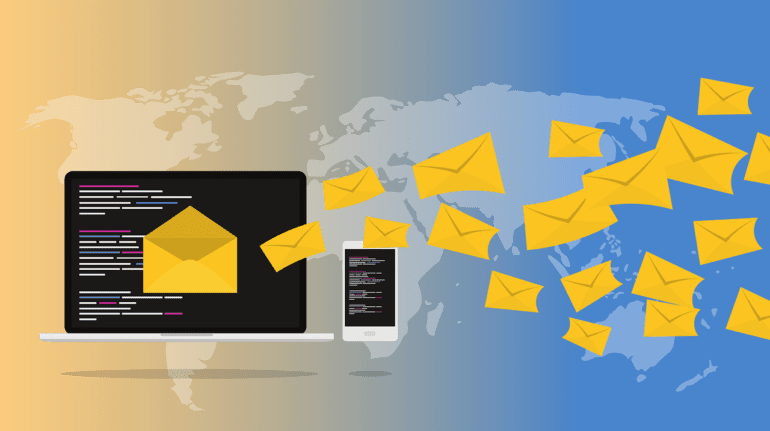 It is essential that the name of the intended reader is mentioned to make the email sound like personalized communication instead of appearing as if it came from a cookie cutter template. The other main issue here is that while Gloria says the article on her site would benefit the reader’s article, she doesn’t exactly mention how it would be appreciated by the Kelsey’s readers. Sure, Kelsey (the recipient) can click the link and check out the article, but it would be better if the sender mentions it briefly in the email itself. Also, she says she found the articles on the reader’s site “amazing”, without actually explaining specifically what aspects she found impressive. That would probably connect with why Gloria thinks her team’s article would help. Finally, the exchange approach at the end of the email doesn’t quite cut the cake for the reader. 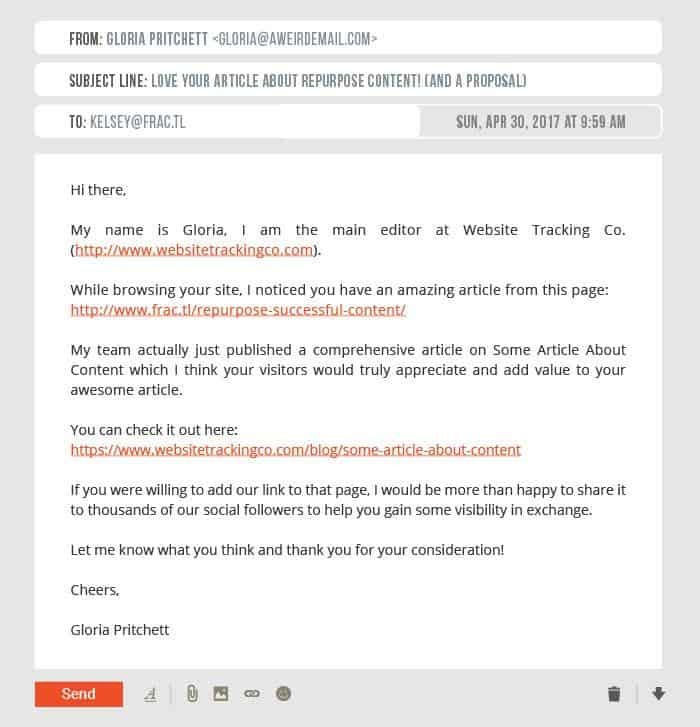 Gloria says that if the reader adds the link to her article to their page, she would share it and help the reader’s site gain more visibility. Quality sites add links because they contain further authoritative and quality information, not in return for any benefits. Now let’s look at another example of a poor email pitch, also mentioned in Fractl. This is quite easy to figure out. The whole pitch appears to be hastily hashed up, without any thought given to it. Generalized and vague pitches like these wouldn’t be thought about since there just isn’t anything worthy here. 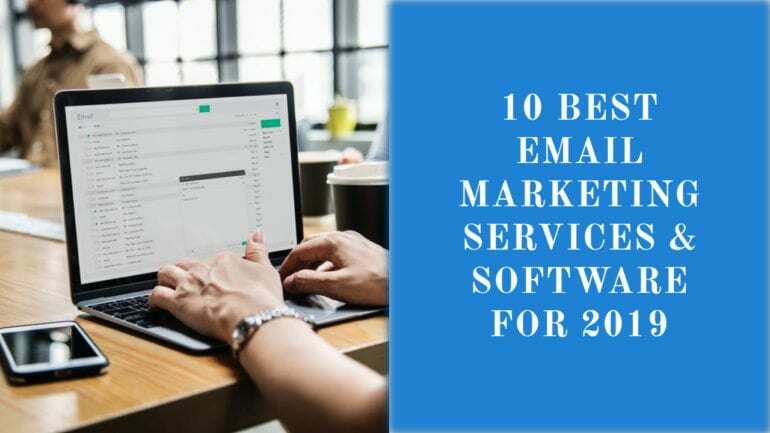 The email starts with the subject line that states “Marketing Services”. 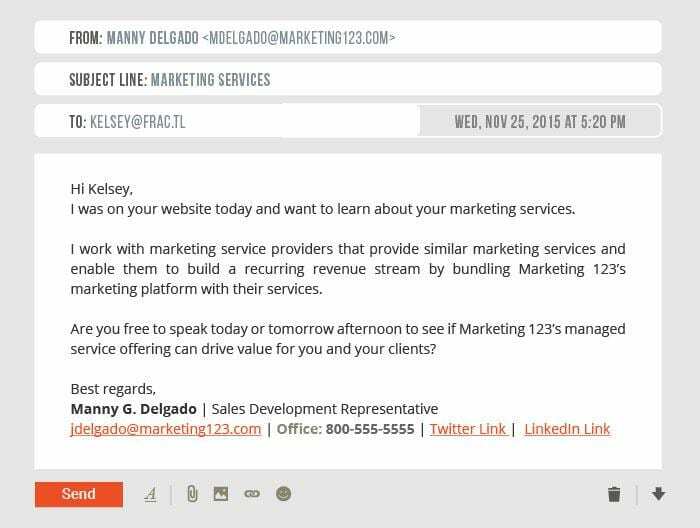 Now, Kelsey will be receiving thousands of other kinds of emails too, and not all of them are sales pitches. The subject lines of these emails appear in the inbox and that’s where the reader sees it and perhaps decides whether to open the email or not. “Marketing Services” typically sounds like a prospective client looking for some marketing services from the business. But on opening it, Kelsey realizes it’s something else entirely. That feeling doesn’t go down well. 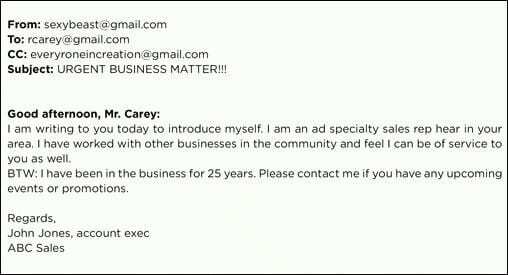 Moving on to the email body, the sender mentions that he works with marketing service providers offering “similar marketing services”. How are they similar? 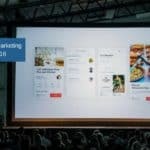 And how would bundling Marketing123’s platform help develop “a recurring revenue stream”? A concise description of these aspects would probably give the reader a desire to contact the sender for following it up. Otherwise, it’s just one of the many emails that clog up the inbox. Again, he fails to demonstrate what he’s researched about the sender’s company. There’s no indication whatsoever of how his service would benefit Kelsey’s business. The webinar links are provided alright, but he says they are to “educate” Kelsey. Here’s the catch – Manny fails to realize that Kelsey’s company, Fractl, offers Internet marketing services and they don’t need any kind of education in this regard. And the conclusion is totally inappropriate. It doesn’t foster the hopes of further communication between Manny and Kelsey. Indeed everything ends there and there’s a potentially great marketing opportunity lost. Let’s move on to another example which is descriptive all right, but a bit too descriptive and yet there are key elements missing. Here, the sender starts right away with his company and services and does not suggest having researched about the reader’s business at all. 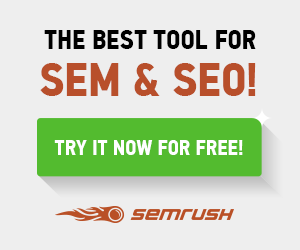 He says that he isn’t running a “normal SEO agency”. So what? 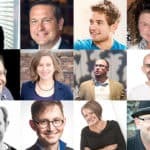 What aspects of the reader’s business or website can he help improve? 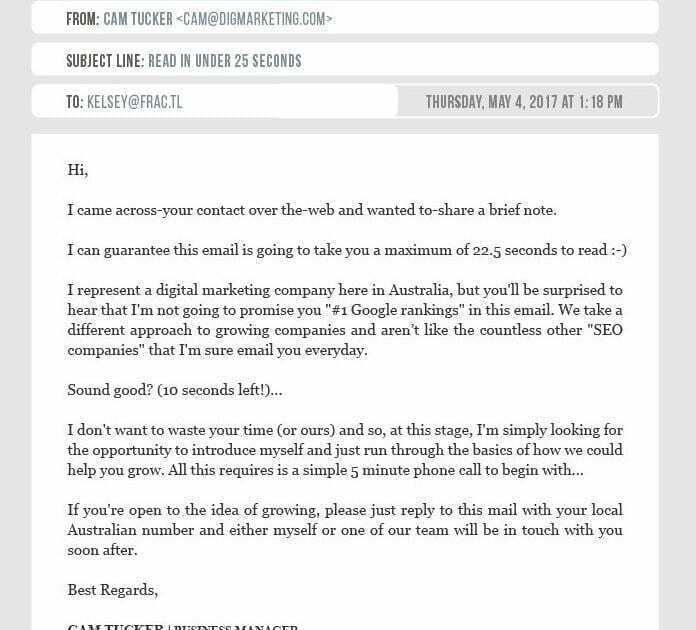 Chris says he’s willing to prove that his is an SEO agency with a difference, but has forgotten to mention why that should matter to the sender. Again, Chris assumes stuff. 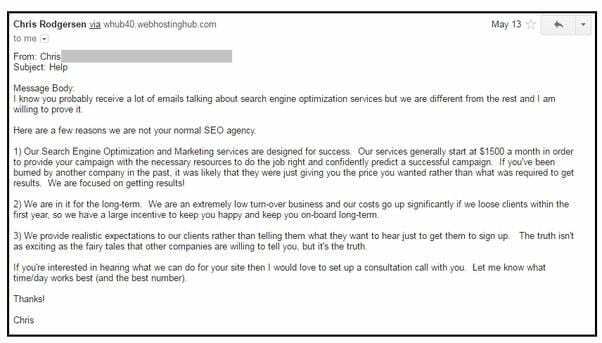 He assumes that the reader receives a lot of emails and that he’s been cheated by an SEO company. The subject line is probably the most misleading of all. It says, “Help”. What does that mean? Does the sender need help or is he offering help? The greatest error of this email is there just isn’t any personalization. The reader isn’t even addressed and Chris jumps straight to the body. I’ve got this awesome data about PR pitches that I’m sure you’ll find fascinating. The sender feels that using “please” would be expression of politeness to impress the reader. But that only helps to repel the reader rather than attract him. It gives the feeling that the sender is desperate and has no means of extracting earnings from their services and so somehow needs the reader to help him out. Here’s how it should be done. Another suggestion is to avoid flattery. Just as excessive politeness doesn’t work, flattery can backfire too. 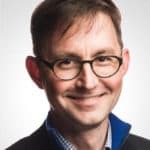 We’re all getting pretty frustrated by how often Google changes its goal posts, and want to know how we can pre-anticipate their next move. That’s much better since the sender has demonstrated that he has read the editor’s post, and the great thing is, even though his opinion differs, he’s still able to convince him that there is something in his document for him to benefit from. Here, the sender, Cam Tucker, has tried to be innovative and unique in his approach. He probably thought that would attract the reader. It’s perhaps for that reason that he decided to include two statements about how much time it would take to read his email. What he hasn’t realized is that he’s just wasted his and the sender’s time by these unnecessary words. And he also made the mistake of inserting an emoji. And it’s unwise to ask a single location US-based company to give its Australian number when it doesn’t have an Australian office. It shows that Cam (who knows if he’s a real person) has done no research on Fractl, and this is just a common email he keeps sending to many businesses. Armed with these examples, you should have a clearer picture of how not to make email pitches. 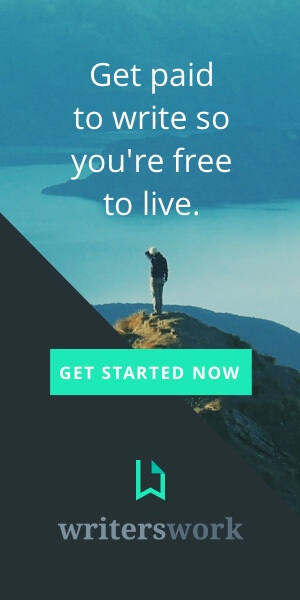 There’s immense potential here if you put yourself in the shoes of the reader while framing your next email pitch. 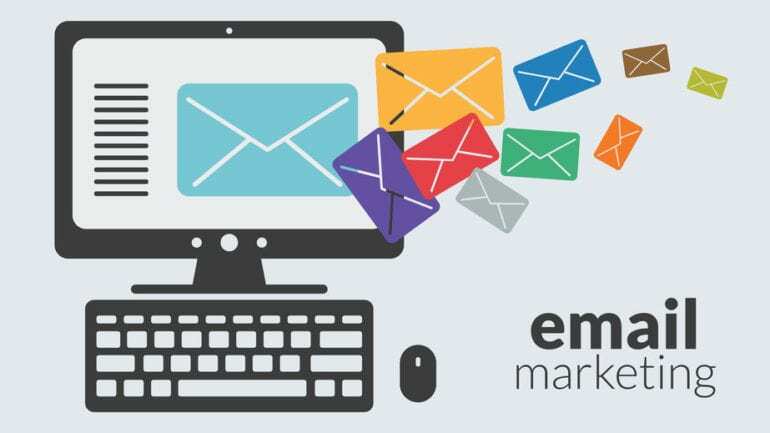 An easier proven marketing hack is to use custom email templates from tools like MailChimp or Constant Contact but ensure that you tweak it based on recipients so that it doesn’t look too templated.